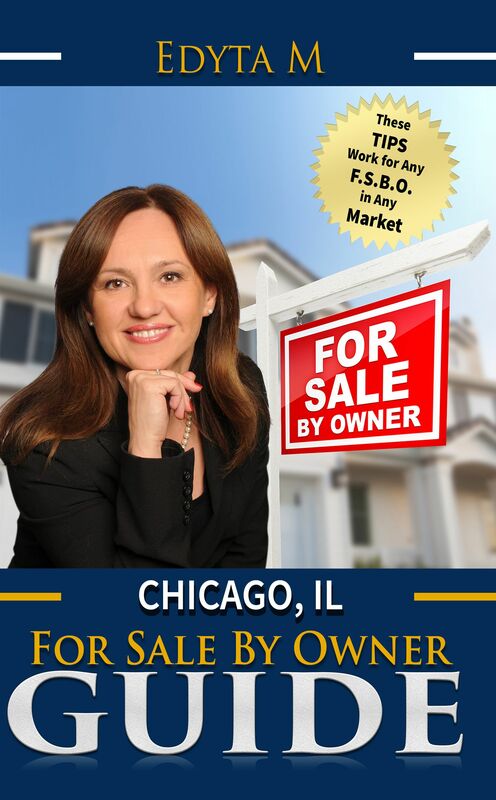 When we put our home on the market to attract potential buyers, we have only two objectives: to get the house sold quickly and earn the price we have in mind. Before you actually start decluttering to achieve a neat and clean appearance, it is a good idea to hold a yard sale to earn some extra cash and get rid of the things you don’t need at the same time. You can use this cash for buying some storage products and solutions, to be used when you start the actual process of clearing away the area. One of the most important steps in staging your home for sale is to clear up the mess and get rid of extra furniture, old decorative stuff, unused kitchen appliances, and piles of books and newspapers. Some people only do this step and along with repainting their house and they manage to get a really good price. It is true that decluttering can greatly improve the appearance of your home but what people fear is how to go about doing it. Clearing everything out is easy when all you need to do is throw the useless items out. But it is definitely not easy when you have to put away certain things for future use and store the essentials, just to clear away some space. Let’s find out how you can declutter the entire house effortlessly and quickly, to take staging your home to the next level and be successful in selling it at a price you have in mind. The best strategy is go room by room, including bedrooms, bathrooms, living, dining and the kitchen in order to keep it simple and not to miss out anything. Decluttering the kitchen is one major activity though and that is why it has been explained in a separate chapter. Here we will discuss how to declutter your rooms and arrange the essentials neatly so that they don’t make your home look like a mess. But before you start clearing out items from the bedrooms, bathrooms and living area, it is a good idea to look at the exterior of your home. This include the garage, driveway, porch, and garden or lawn. Declutter these areas first and then move indoors. Place all your tools in a box and store them away in the attic. Get rid of any empty car oil bottles or cans. Remember to bring minimalism to the entire area by either throwing useless items out or storing the ones you don’t need at least for the time being in some storage area till the time you move. · You don’t want out-of-season clothes to clutter your cupboards, sofas, and chairs. As a first step, pack all these unwanted clothes in boxes or suitcases and put them away. · Find affordable organizers to place in drawers and cupboards to organize your jewelry, toiletries, undergarments, and other items neatly to clear away some storage space. · Take unnecessary wall hangings down and store them. · If you have kid at home, sort through their toy collection and keep only the ones they play with. Pack the others in boxes and store them somewhere in the attic or under the bed. · Remove all unnecessary items from the shelves and keep only those that are required on a daily basis, like toothbrushes and toothpaste. · Sort through prescription medicines to keep only those that are important. · Buy a hanging bag or organizer for toiletries to neatly arrange them. · Get rid of old shampoo, body wash, and lotion bottles. Keep only the essentials and if you need other items neatly place them on shelves or racks. · Store all books and magazines in an area where they will not be seen. Better yet get rid of the ones you don’t need. · Remove photo frames and other small decorative items and store them away. · If there are toys all around, take a basket or one of those fancy little fabric toys containers and store the toys neatly. · Dedicate an area for placing all the gadgets along with chargers and remote controllers so that they are not scattered all over the place. · If your living room also serves to be the entrance, make sure you don’t have any trash cans or dust bins placed near the door. · Pay attention to high traffic areas to declutter them and also make sure the doorbell and other electronic systems like the intercom are working properly. If they require new batteries, change them. · After the kitchen, it is the living or family room people are the most interested in. So, make it your goal to clear away unnecessary items from this area and make it inviting and cozy. · The objective of decluttering is to make room for some inviting stuff like a rocking chair or a neat magazine holder to give a final cozy look to your family or living room. Of course you don’t want to spend too much time clearing out extra and useless items from your home. The goal should be to declutter as fast as you can and do it effectively. There are some services that you can check out in this regard to achieve your objective successfully and in less time. Do-It-Yourself (DIY) storage ideas are especially useful when it comes to decluttering and preparing your home for staging. Before putting your home on the market, it is recommended to throw out things you don’t need. So, when you’re done clearing away some of the clutter, it’s time to store the items that you don’t need temporarily. Have you considered an on-site storage option for clearing away some of the clutter while still keeping the essentials safely stored at a remote place? This option is becoming increasingly popular because of its many benefits including low cost, convenience and flexibility. The company providing the storage system drops off a container at your place and you can fill it up the way you want. Once you’re done putting in things, boxes and cartons, you can call them up again and they will deliver the container to a secure storage location. The containers come in many different sizes and costs and you can choose one according to your requirements. These are mostly used in places like the attic to create shelves for storing different boxes. These can be made at home or ordered from a store. They are quite easy to install and provide many benefits over stacked storage. If you have some items that can be easily stored using hangers, consider the option of using rafter hangers. You may also use hooks for efficient and easy hanging. This type of flooring comes in many sizes and can be effectively used to increase floor space. It is specifically designed for attics and offers a great solution for increasing storage space in the attic for decluttering and organizing. These decks are able to hold up to 250 pounds of weight, which allows for convenient storage. Check out the above-mentioned solutions for fast and effective storage when you’re decluttering the entire house. The attic is one place in every home where so many things are just dumped, whether they are needed or not. Some homebuyers may wish to see your attic, so it’s time you sort out the storage for things that are required and things that are not. But first, it’s a good idea to buy some plastic storage boxes with lids, baskets and trash bags. Once you have a number of storage boxes ready, label them with the type or category of things they would hold. For example, one of the boxes may read “toys”, the other one “books and magazines”, and so on. When you’re going through the items stored, or more precisely “dumped” in the attic, categorize them and then start placing them in boxes accordingly. If you’re piling up boxes one over another, make sure you don’t place the one containing the most-used-items at the bottom. It will be very difficult to take things out when you need them. Some of these boxes may even qualify for charity, but we will discuss this at the end of this chapter. If you think there is some outgrown baby stuff including walkers, strollers, baby car seats, booster seats, and so on, simply get rid of them or make a point to give them away to friends or relatives. 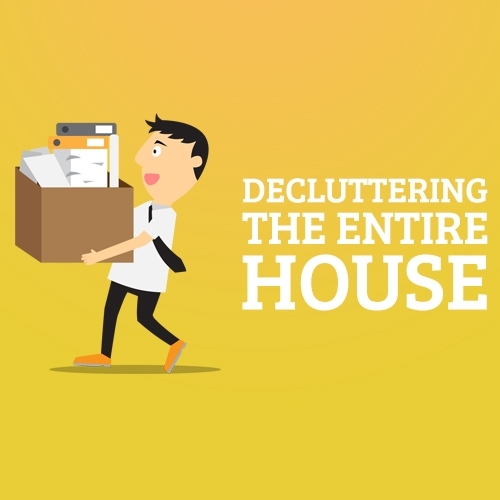 Decluttering can be a daunting task since there is no guarantee when your home will be sold off and how long you will have to stay in the same house. You are going to need the stuff that you’re packing away or putting in the attic. But at the same time you should get rid of the clutter in order to make your home look neat and clean to the visitors. So, what’s the solution? The best way is to store the things you don’t need on a daily basis in storage boxes or cartons, and put them in a place where they will not be noticed. Even if you do require some of that stuff, you can easily take the box out and use the things you need. 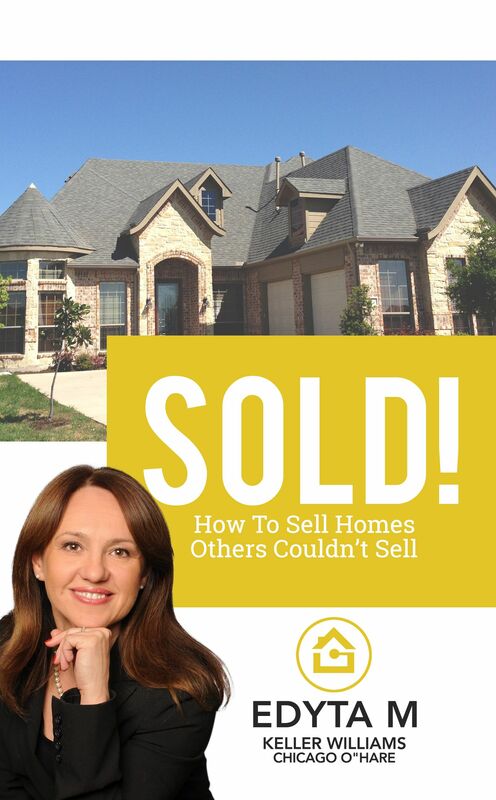 This method is going to save you time in the long run, when you finally get your home sold and it’s time to move. Since the clutter is already packed up, you will only have to move the cartons. Non-essentials can also be stored using containers described in the above section. Staging the home is a necessary step to make the buyers imagine your home as theirs. You should make all the required changes to make it appear more inviting, cozy, and neat. If they think it is thoroughly cleaned up, spacious enough, and has been decorated according to the latest trends in home décor, they will make a decision. 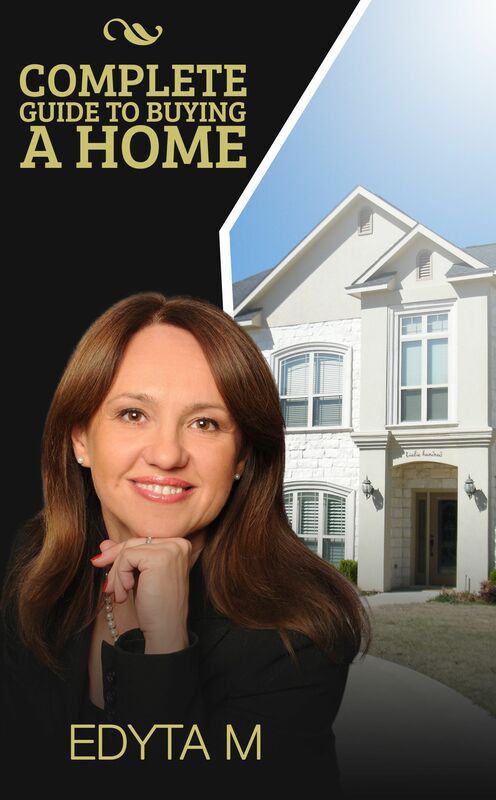 After all, this is what we all look in homes that we see with an intention to buy. So, declutter the entire house to achieve these goals and use as many tools and solutions available on the market to perform this step quickly and effortlessly. 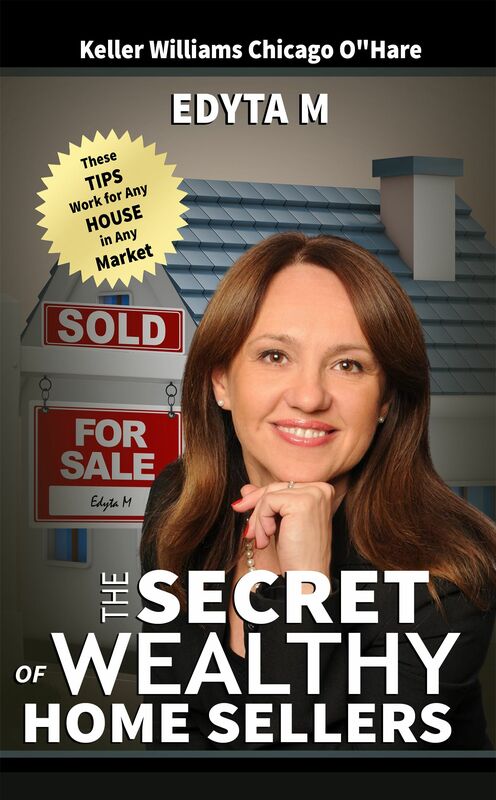 Any money you pay for these products is going to be investment because you want to sell your home for more. Your efforts are only going to help you achieve this objective.